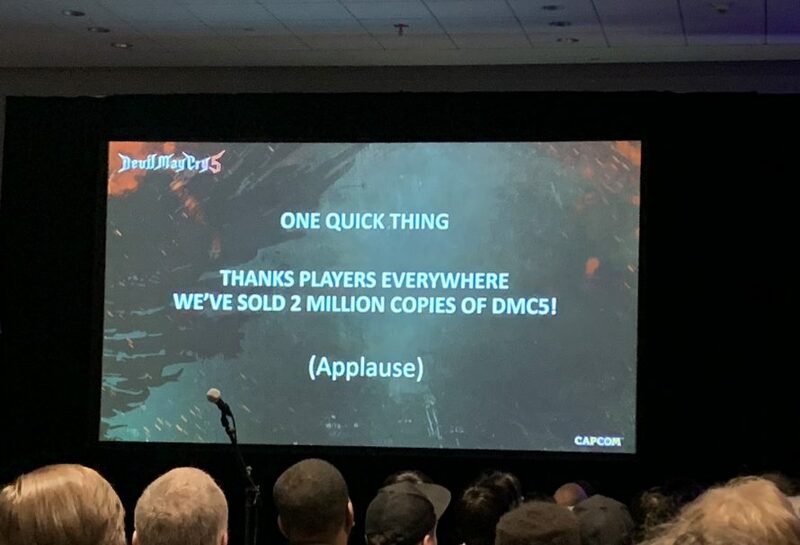 A few weeks following the launch of Devil May Cry 5, Capcom is pleased to report at this year’s Game Developer’s Conference or GDC that the game has sold two million copies worldwide. Devil May Cry 5 is the latest in the Devil May Cry series that follows the story of Dante, Nero and a new character named V as they battle it out with the Demon King Urizen. For fans who have been clamoring for a Devil May Cry game that lives up to the series, this is the one that everyone has been asking for. For those who have already purchased the game and have finished it, there’s new content coming on April 1st, which is the much awaited Bloody Palace mode that allows players to test their skills in waves of enemies that they have to beat. – Groundbreaking graphics – Developed with Capcom’s in-house proprietary RE engine, the series continues to achieve new heights in fidelity with graphics that utilize photorealistic character designs and stunning lighting and environmental effects. – Take down the demonic invasion – Battle against epic bosses in adrenaline fueled fights across the over-run Red Grave City all to the beat of a truly killer soundtrack. – Demon hunter – Nero, one of the series main protagonists and a young demon hunter who has the blood of Sparda, heads to Red Grave City to face the hellish onslaught of demons, with weapons craftswoman and new partner-in-crime, Nico. Nero is also joined by stylish, legendary demon hunter, Dante and the mysterious new character, V.
Devil May Cry 5 is available now for PlayStation 4, Xbox One, and PC via Steam. For more information about the game, check out our review.